If you are like me then you’ve spent quite a bit of time googling and reading book after book trying to figure out what the EXACT RIGHT fertility diet is. If you are like me you’ve probably also gotten very frustrated as all the diets seem to contradict each other! 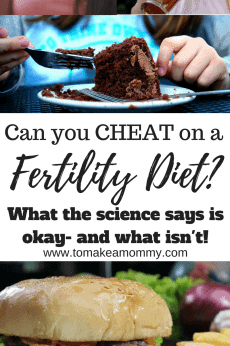 Here’s the thing- there isn’t one exactly right fertility diet. Why? Because every woman is different! And as such, every “fertility diet” needs to be tailored to her particular needs. If you are just starting to try to conceive, then I wouldn’t worry so much about it. 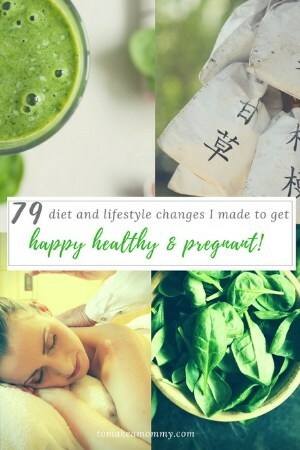 Eat healthy, and if you want to get pregnant quickly, then follow my Fertility Diet overview and you’ll be fine. 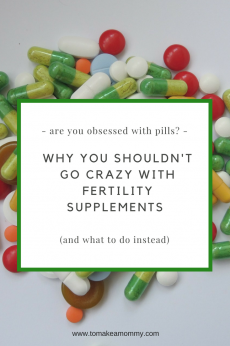 But, if you have been trying to conceive for over a year unsuccessfully, or have only had losses, then it is time to do a little research and figure out your perfect diet! If you are lucky, you can follow my diet plan and only alter one or two things and maybe cut out a known allergen. If, however, you are struggling with an auto-immune related disorder such as lupus, thyroid disease, or Hashimoto’s, you may need to do a much more stringent diet like the Auto-Immune Protocol Diet to get your condition under control and return yourself to fertility. Clear as mud? Here are six simple steps to follow to tailor your fertility diet to your needs. First- See your doctor and your acupuncturist. Get ALL the tests. What are your diagnoses? I had endometriosis, High FSH, Low AMH, diminished ovarian reserve, and an MTHFR mutation. I had also experienced multiple early losses (miscarriages and chemical pregnancies). My acupuncturist diagnosed me with Cold Uterus with Kidney Yang Deficiency and Blood Stasis. All of these had associated recommended diets– sometimes that conflicted! Second- Take into account your other dietary issues and health status. All of your personal issues have to be taken into account when designing your perfect fertility diet. I have severe seafood allergies and a dairy intolerance. 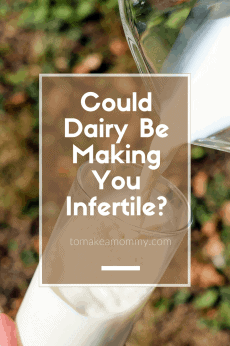 At first I was eating dairy anyway, and just taking lactose pills, because I thought it was a good “fertility” food. Well, yes it is- for some small subset of the population. But NOT for me (Read more here on Dairy). If you have no idea what your dietary issues are you probably need to do an elimination diet to figure them out! 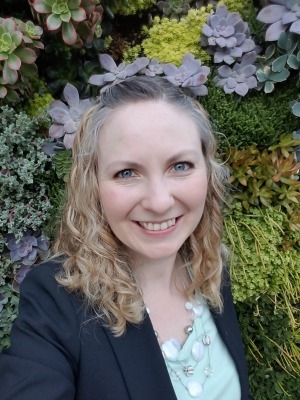 You can do a Whole30 or the Autoimmune Protocol Diet, and then do the slow introductions and journal what you have reactions to and what you don’t! Third- Start a list. 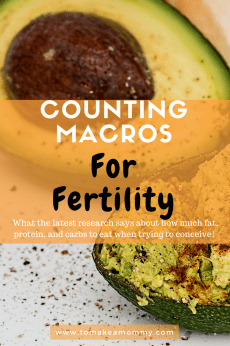 Make a spreadsheet, start a journal, start WRITING down all of the recommended diets for YOUR situation so you can start developing your ideal fertility diet. Include what’s recommended, what isn’t, and what your personal diet and health needs allow. Fourth- Research! Google, google, then google some more. In the end YOU are the only person who can become an expert on the diet you need- not a doctor, not an acupuncturist, not a fertility guru, not an author, and not a modest blogger. Empower yourself and take ownership of your fertility journey by doing the research yourself! Definitely invest in The Infertility Cure by Randine Lewis which provides tailored diets specific to your Eastern Medicine diagnosis (acupuncture). Don’t get overwhelmed- get organized. This is important, because you are also discovering the diet that will take you to optimal health. This is something you want for pregnancy, and, um, for the rest of your life! Six- Listen to your body. You should feel GREAT when you start eating a diet that is tailored to your diet. If you don’t, evaluate your diet and see what you need to kick. For many people, it is dairy and/or gluten. For others, it can be anything inflammatory. Seven- Download my free-ebook on the Perfect Fertility Diet: Creating a tailored diet for YOU based on YOUR needs! 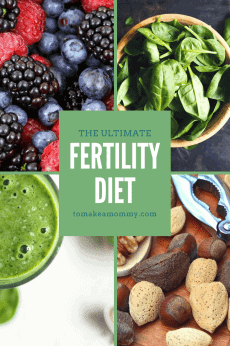 This free e-book outlines the basic Ultimate Fertility Diet (the one that got me pregnant!) and then provides tailored diet advice for the following diagnoses: Anovulation; Endometriosis; High FSH; Hormonal Imbalance; Luteal Phase Defect; MTHFR Mutation; Polycystic Ovarian Syndrome (PCOS); Thyroid Problems; Hashimoto’s; Unexplained Infertility; Uterine Fibroids; and Recurrent Miscarriage/ Chemical Pregnancies. 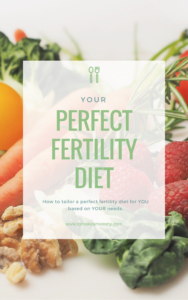 I truly believe that when I finally tailored the traditional fertility diet to the one that was PERFECT for me, I finally nourished myself to perfect health and that is why I was able to get successfully pregnant! Read my full miracle story here if you need a little inspiration! I am new on your page and I must tell you that I love and identify with your story. You are blessed!! I am 32 years old and I was diagnosed with low ovarian reserve. The doctors propose me In Vitro treatment. I want to improve my diet with superfoods and antioxidants. I want to know if you could recommend some supplements to prepare my body for 3 months. Thanks and I am happy of having got your page. I write you from Venezuela. I am so glad you found me!! Definitely take the three months to prepare your body! I have a supplements post you can find on the site you should take a look at. 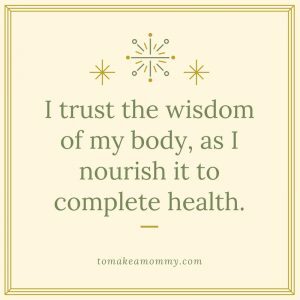 Above all, don’t forget that the diet is only 1/3 of the equation- you have to also eliminate fertility harming toxins and practice mind-body techniques to maximize your chances! Click around the site to find all my blog posts on these topics! Baby dust! I can’t wait to hear your success story! I’ve requested the free ebook from my work and email account and never received it. I am happy to buy it if is no longer free. I get the nice emails that come every few days but never got the e-book. Reading your post has given me the courage to push and start off strongly in achieving my goals of holding my own baby. I would like to ask some few questions if you don’t mind. 1. How should I steam the spinach, is it by dipping it into hot water for some minutes or putting it on fire,if so how many minutes. I noticed taking any smoothie with spinach always make me uncomfortable and full. 2. Getting organic stores here in Nigeria is very difficult, you did not mention grapes in any of the fruits we are suppose to take more of berries, why is that if I may ask, are grapes not good cos I discovered I have uterine fibroids. What about bananas, pineapples should I avoid them totally. I am still going through your write up and hope to write back soon with positive results. Hi Juliet!! We use an all metal steamer in a stainless pot with water underneath (http://amzn.to/2polrxs). If its fresh spinach, only til its wilted. If its frozen spinach, then just until its not frozen any more throughout. Personally, I feel better with romaine lettuce in my smoothie above all other greens. I mix it up, but do a lot of lettuce, especially when I’m not eating salads (I mostly eat salads with lettuce in the summer). So for fruits, you have to make your own decisions as best you can with what is available. Some fertility coaches say to just limit yourself to 2 helpings of fruits at different times in the day and not worry about the type. What I did was completely avoid high sugar fruits, especially bananas and dried fruits. I would eat a few pieces of pineapple or others, but not a lot. I ate lots of berries and didn’t limit my serving sizes on those. Grapes have a lot of sugar. So if I was going to have any, it would just be a few grapes, not a full serving size. Does that make sense? Definitely share your happy story!!! Hi Anna your website has given me faith when the doctor’s have smashed it. I’m really confused on what to eat though. I’m very recipe orientated in order to do grocery shopping. Is there anywhere you can recommend recipes for lunches and dinners that my partner and I can follow? Ughh, Andrea, I am so sorry. I promised my readers I would work on this a year ago and I still haven’t made the time! I have a board on Pinterest you can follow for recipes I pin! Unfortunately my fertility diet doesn’t really match up with mainstream diets- its kind of Clean Eating, kind of Whole30, kind of Keto, kind of Paleo. I promise I’ll make the time soon!!! I have stumbled across your webpage and love it. So informative and opened my eyes to the importance of a healthy diet. Although my husband I are healthy, I realised there are a few changes we could make. I have low AMH and high FSH. I added more fats, plant based proteins, greens and crucifercous vegetables daily. I wanted to read your ebook, but haven’t received an email link despite signing up. Are you able to send me a direct link? Much appreciated. Hi Jody!! I’m so glad!! Lots of baby dust to you!!! Send me an email- anna at tomakeamommy dot com and I will send it to you! !